I saved one of my very favourite wraps, by my very favourite weaver to be posted on this special day... today is my birthday! After staring at a longer version of this wrap on the swap, hemming, hawing, and eventually missing out on it, I vowed that I would buy a Mama Minnow Wild Rumpus wrap should I ever see one again. Thankfully, one came up in a size 4 (3.8m), and I snatched it up. 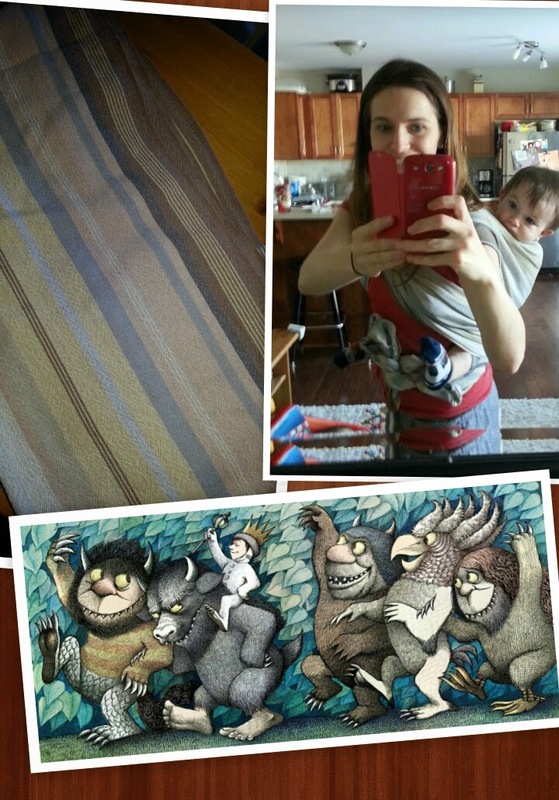 The inspiration for this amazing neutral wrap came from the book "Where the Wild Things Are", specifically on the photo (below) of the Wild Rumpus that Max and the Wild Things had while he was on his adventures. Having loved this book for a good long time, this wrap called to me from the moment I saw it. Chandra, the amazingly talented weaver, is Canadian, and has based a line of her handwoven wraps on children's literary classics such as WTWTA, calling it her "Wrap & Read Literary Lineup". Other inspirations include Freight Trainbow and Pete the Cat. When I received this package in the mail, I was shocked at how small and light the package was. This wrap is without a doubt the thinnest handwoven I have ever tried. I could nearly see the writing on the envelope of the package through this wrap in the sunshine. I was a bit worried, as my boys are chunky monkeys, but thankfully, this wrap proved that thin doesn't have to mean diggy! I took a look over this wrap with a fine-tooth comb, and Chandra's attention to detail is just amazing. The colours melded together so well, there were no mistakes in the weaving that my human eye could see, and her selvedges were the very definition of razor sharp. 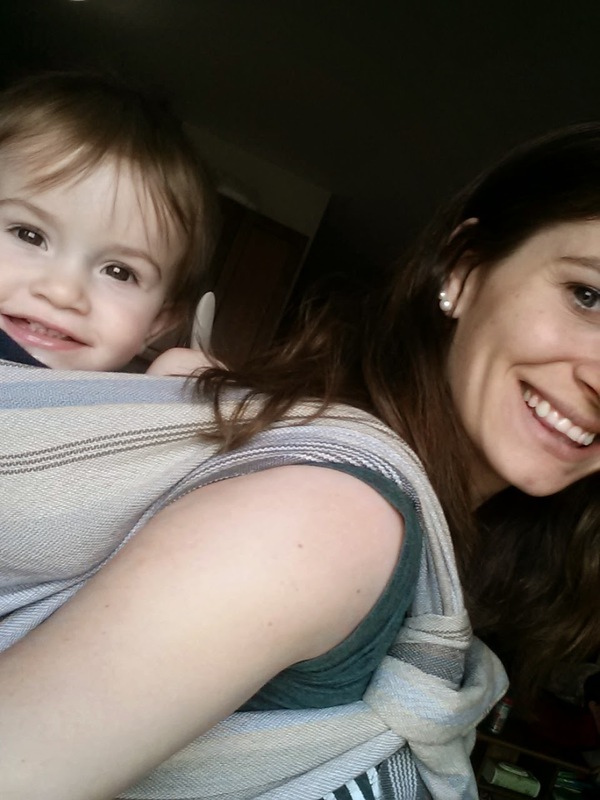 I was able to eke out a front wrap cross carry with this when my son was a bit younger, and wore him for naps in it, and on downtown adventures with no digging or sagging. 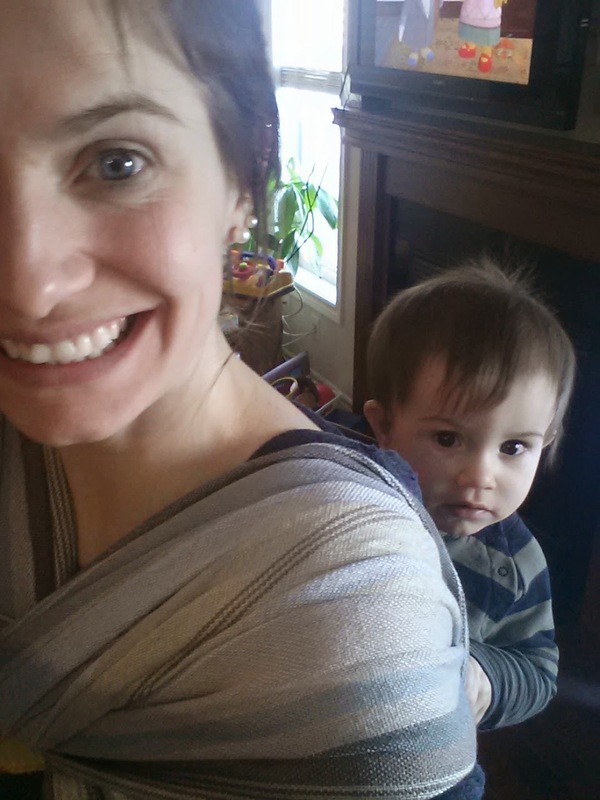 This wrap was delightfully supportive and comfortable! I also loved it in a reinforced ruck, and could squeak out a Christina's ruckless with it, with some careful tying. The colours were so lovely and neutral, it was such a classy wrap. I was so very fortunate to win a "Golden dibs ticket" for another Mama Minnow wrap, and sold this lovely piece of art to a mama in my local babywearing group, as a legacy wrap for her son. I definitely would have held onto it if I didn't know I was secure in owning another Mama Minnow in the future! Pros: So thin, Canadian weaver, amazing neutral, amazing weaving, beautiful all around. Cons: Small batches make it difficult to score a Mama Minnow, so if you see one BUY IT! Recommendation: This lovely mama is a very talented weaver, and I would recommend her wraps to anyone looking to try a well-made, Canadian handwoven.